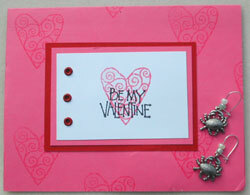 Last week I found some crabs in my mailbox! Not the pinching kind, but the cute, adorable pewter kind. Deb found these darlings in need of a home and made them into stitch markers for me. Thank you, Deb; I love them! You’re such a sweetie! Deb sent the crabbies in this fantastic hand made card. More crafty talent! those are cute!! great job, deb! 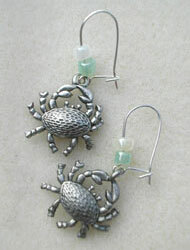 and seeing the hooks on the crabby’s you can also wear them as earrings?